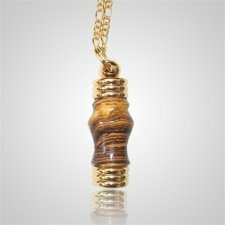 Remember your loved one in a natural way by storing their ashes in a beautiful wood pendant from Memorials.com. 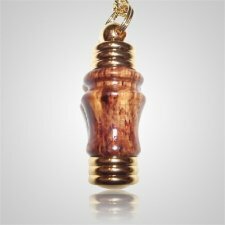 Our all natural, exotic wood pendant necklaces are hollow on the inside allowing you to place ashes, hair, dried funeral flowers or another small momento inside the receptacle. 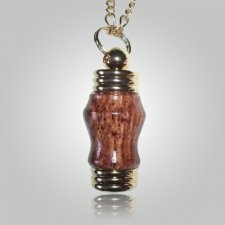 What is wood cremation jewelry? Wood cremation jewelry is typically a cremation necklace pendant that is made out of wood and allows you to store the ashes, hair, ceremonial flowers or other small momento on the inside of the receptacle. These pieces are rustic and typically use native, exotic woods in their design. 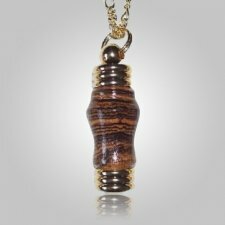 Wood pendants are quite affordable ranging from $25-$75. They are a great way to have a natural momento to remember your loved one by. 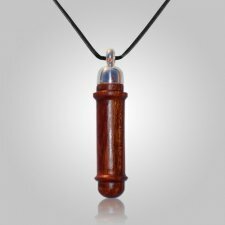 How are wood cremation jewelry pendants made? Wood pendants are created using a process that begins by coring out a small piece of wood and then shaping or accenting the exterior with a small decoration. 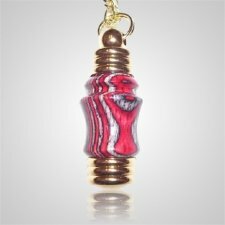 Each cremation pendant has a different pattern of graining which will vary from piece to piece. 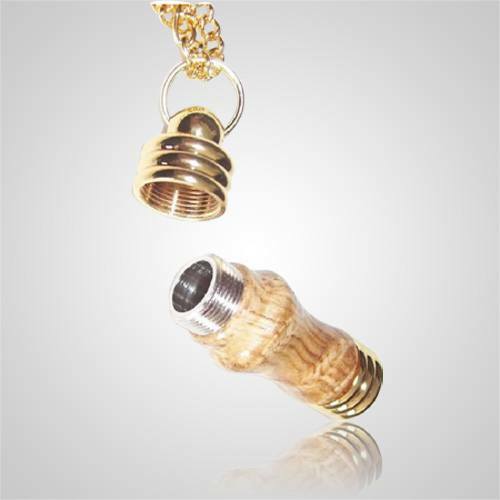 This means that every pendant is truly unique. 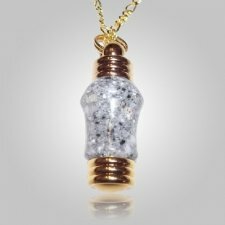 The pendant is then attached to a removable bail that unscrews from the top of the pendant allowing you to place the remembrance of your loved one inside. How do I take care of a wood pendant? 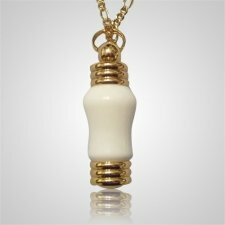 The best thing you can do to keep your pendant safe is to keep it away from water. 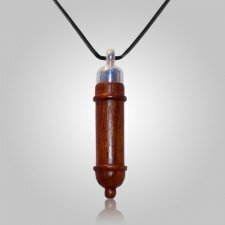 When cleaning your wood pendant, use a non-abrasive microfiber cloth to wipe it's surface to remove dust. 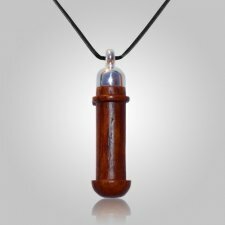 Like most jewelry, you can also store your wood jewelry in an airtight bag to avoid moisture and dust. 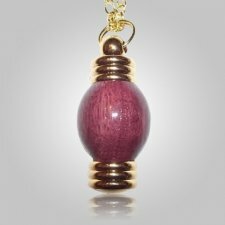 Also, you can use some natural beeswax once a month on most wood pendants to keep them shiny and new.